Pastors spend a lot of time talking to people, in meetings, as part of pastoral care, in contexts as serious as a hospital bedside and as casual as a pass-through in the church kitchen. People may bring us a problem to solve, or they may bring us a complaint. In a small congregation, we may have a lot of face-to-face talks with the same people, while in a larger faith community, there may be people we never speak to beyond a brief “hello” in the receiving line after worship. For my continuing education time in 2018, I attended NEXT Church’s week-long training in community organizing, which has continued as a distance learning course. The foundational exercise of organizing is the relational meeting, also known as a “one-on-one.” Both in person and via Zoom, my classmates and I have engaged in observed one-on-ones, in order to become more comfortable with being present to another person and eliciting their self-interest. Who are they? What matters in their lives? What might they exert themselves to support or accomplish? Where are the points of connection that might surprise us? I have a lot of one-on-one conversations in my vocation as a leadership coach for clergy, but those appointments are not relational meetings. I do not bring myself to the conversation in the same way that an organizer would. Even a professional organizer is looking for points of connection with the people they meet; in coaching I am focused on the client’s goals. Perhaps this movement in my life has changed what I expect in a one-on-one conversation, because, despite being an extrovert, I was surprised to find myself uncomfortable in the one-on-ones we practiced. Either I gave too much information about myself, or I could not be present enough as I guarded what I felt might make me vulnerable. In the first Zoom opportunity, my mind went completely blank! As a person who is usually fairly confident in her abilities, I was surprised by how hard I found this exercise. When I began to develop a listening campaign – a series of one-on-one conversations with the board members of RevGalBlogPals – I knew I needed to prepare an open-ended question that would start each relational meeting. This was about more than creating a similar opening dynamic for all the meetings; I needed to be sure I knew what I was doing. I crafted an open-ended question, something I do regularly as a coach. In each conversation, I began with a review of the board member’s association, how many years and in what roles. 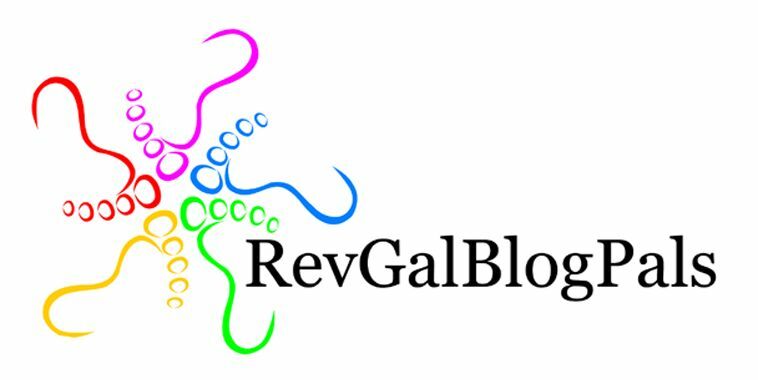 Then I asked, “What matters to you about RevGals?” I was able to see some trends and some variables among the eight women who accepted my invitation to talk. My role involves a lot of picky-picky work done alone with my laptop, and it can be hard to step back and take a wider view of the impact RevGalBlogPals makes. I recruit volunteer writers, but I only occasionally do I hear how the prayers and resources they create impact other pastors. I oversee the details of event planning, but agendas and itineraries aren’t the measure of our in-person gatherings. I assemble data for our annual report, but donation numbers and page referrals cannot fully reflect the intangible values that provide a foundation for our work. Over the course of the listening campaign, I picked my head up from the keyboard and heard myself answer the question, too. What matters to me? And there, I think, is the rub of community organizing. When you ask other people to tell you what drives them, what they really care about, you need to be prepared to answer the question yourself. As my small group leader said during one of our distance learning sessions, sometimes, maybe always, the work of organizing will disorganize you.